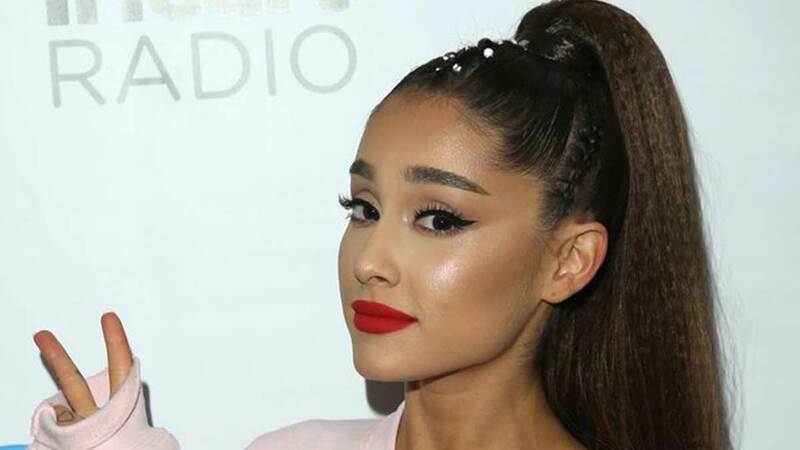 Ariana Grande is known for her iconic ponytail, in fact when she dared change it up to a low pony, the Internet lost its damn mind. Fellow singer, Camila Cabello, learned the hard way that channeling your inner Ariana, involves a whole lot of suffering, in order to achieve that perfect pony. After attending the MTV EMA Awards on Sunday night, Camila Tweeted that her Ariana-inspired pony had caused her some serious grief. In fact, the pony caused so much pain that Camila actually took it out, before the award show was even over. After reaching out to the ponytail master for advice, Ariana responded that she is in constant pain, and has just learned to live with it. No tea, no shade, but if Camila was in pain from her ponytail that wasn't anywhere near as high, or as long as Ariana's, can you imagine the strain that Ari's head must be under on a daily basis? We're rubbing our temples just thinking about it. Ariana started wearing her signature pony back in 2014. At the time she explained it was due to the fact that her hair was so damaged from bleach, it was the only style that hid her broken strands. In 2016 she revealed to Byrdie that she continued wearing the style simply because she loved it so much. "It's how I like my hair. It's how I've always liked my hair. It brings me so much joy, honestly. Every time I put my hair up, it's like a surprise. Like, I forget how much I love it, and then I tie it back and I'm like, 'I love this look! Ooh, girl!' Every time I tie it up is like the first time. It's like true love." Well Ari, you know what they say, beauty is pain.